Abstract artists brought different genres and sub genres of abstraction into the dominant painting style of the 20th century. This influential avant-garde direction in painting derived from the request for “pure art”, abstract, non-figurative, non-objective and nonrepresentational artwork. The earliest movements toward contemporary abstraction in history of art were seen in Romanticism, Impressionism and Expressionism, where artists put a greater emphasis on visual sensation than the depiction of objects. That departure from reality in depiction of imagery in art directly lead to the building of the artistic language of abstract art. In Post Impressionist art practices of Paul Gauguin, Vincent van Gogh and Paul Cézanne is hidden the crucial impact on 20th-century modern and abstract art. Their treatment of color and the shape directly led to Fauvist and Cubist art explorations and reductionistic depictions of nature at Henri Matisse and Georges Braque, consequently leading to Pablo Picasso and turn from Analytic to Synthetic cubism. View and explore more works by Pablo Picasso! Futurism of Carlo Carra and Umberto Boccioni entered a further stage of abstraction, while the poet Guillaume Apollinaire coined a new term Orphism for the new visual language of painting new structures out of elements that not represent reality but had been created entirely by the artist. In the search for nonrepresentational, pure art many painters experimented and so the abstract art marked the first half of the 20th century. Abstract art switched from mere visual representation of the world to the painting as a bearer of the spiritual dimensions and transcendental experiences. 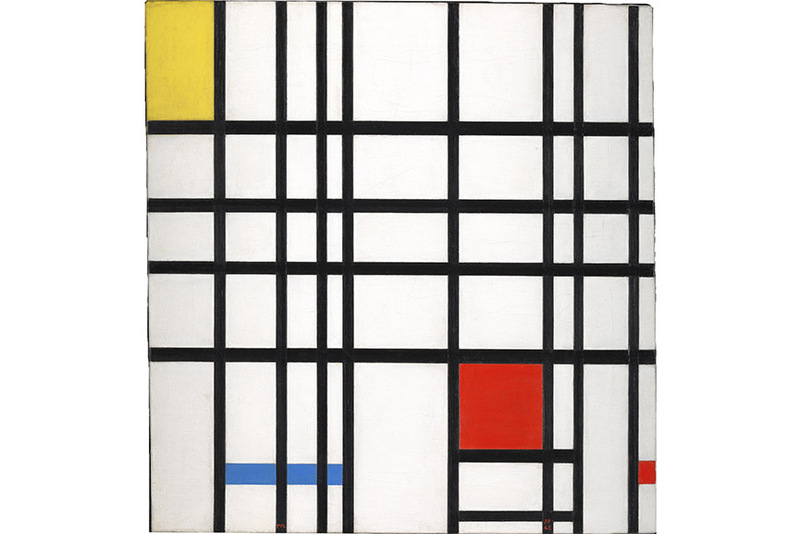 Neoplasticism of DeStijl group, and especially Piet Mondrian, was the example of the avant-garde geometric abstraction with the theosophical background. The avant-garde artists from Soviet Russia along with architects and designers from Netherlands and Germany as well as from the other European countries, gathered in newly formed Bauhaus school in Germany, with their exploration in visual and plastic arts, significantly contributed to the rise of abstract painting in the first decades of the 20th century. Artists associated to the school of Bauhaus included Paul Klee, Wassily Kandinsky, Johannes Itten, Josef Albers, Anni Albers, Theo van Doesburg, László Moholy-Nagy and many more. With the rise of Nazism in Germany, many of abstract artists moved to United States or other unoccupied territories in Europe. In first postwar years, New York became art capital of the world and new modern language of abstraction blossomed in United States. 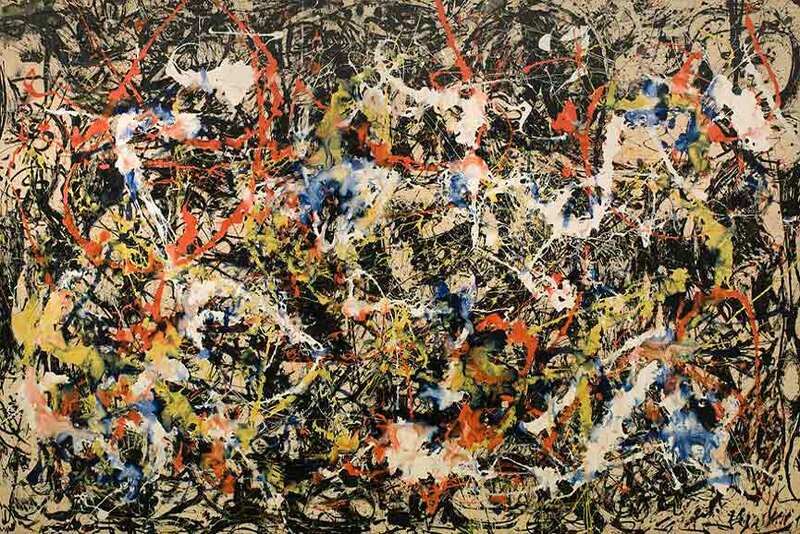 In work of abstract expressionists, two major painting sub genres were allocated in 1950s – Action Painting and Color Field Painting. On the one hand, painters as Jackson Pollock, Robert Motherwell and Willem de Kooning focused on painting process and the very act of the creation while authors like Mark Rothko, Clifford Stills and Barnet Newman were pointing out synesthetic spirituality and the expression of the sublime human emotions and knowledge. 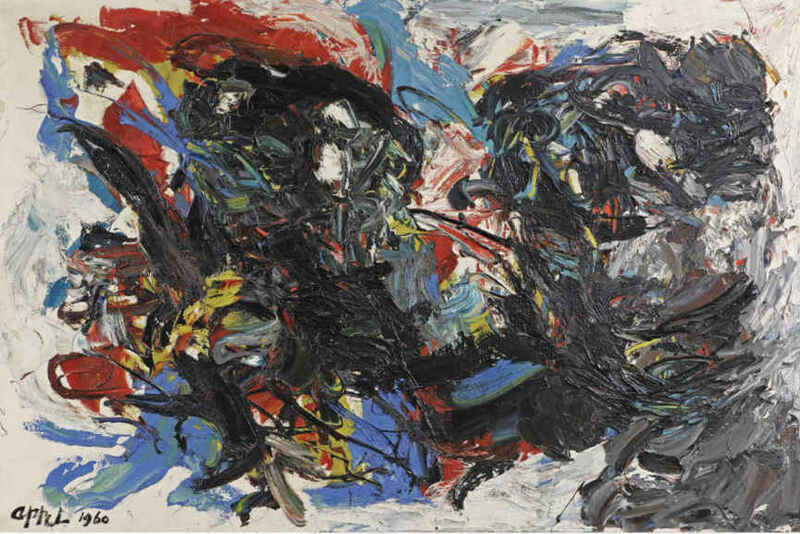 In post war decades, the abstract expressionism slid into different fields of op art and geometric abstraction in United States, while the European answer was the invention of lyrical abstraction, art informel and political abstraction in the works of CoBrA members Karel Appel, Constant and Asger Jorn. Post war art in Italy was assigned with the Arte Povera and especially its extensions such as Spatialism, introducing a new type of abstract art by synthetic visions combining color, sound, space and movement. Here is the chronological list of the most important names of abstract art that throughout the 20th century completely reshaped the world opinion on the media of painting. Abstraction shook Western art to its core. In the early part of the 20th century, it refuted the reign of clear, indisputable forms and confronted audiences instead with vivid visual poems devoid of conventional, representational imagery and characterized instead by allegories of emotion and sensation.This radical artistic adventure established new artistic means, as much as narratives. Expression became characterized by shocking juxtapositions of color, light, and line. Artist abandoned the conventions of brush and easel and played with new materials and methods of artistic gesture: commercial paints and housepainter’s brushes, working on unstretched and unprimed canvases, moving the canvas to the floor, and applying paint with hands.This essential introduction spans the international breadth, conceptual depth, and seismic impact of Abstract art with a thorough survey not only of the big names such as Picasso, Klee, Kline, Rothko, and Pollock, but also lesser-known figures who made equally significant abstract contributions, including Antoni Tàs;pies, K.O. Götz, Ad Reinhardt, and Sophie Taeuber-Arp. 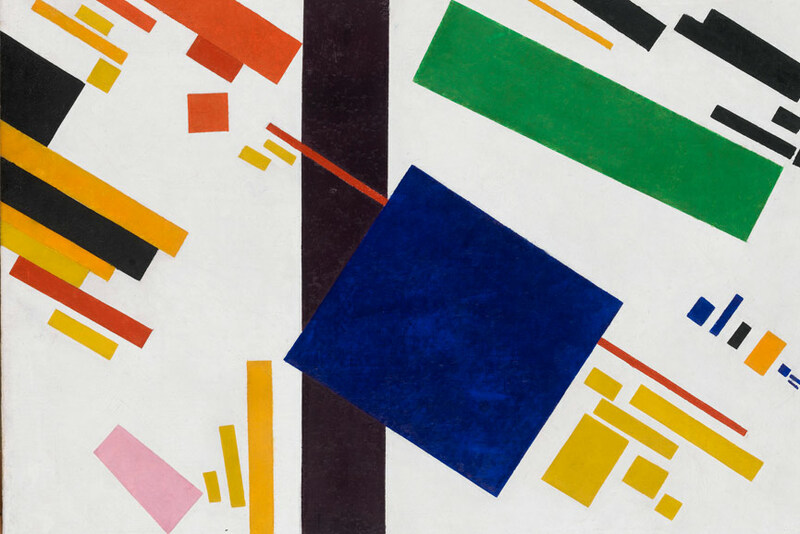 Kazimir Malevich is known as the artist who laid down the foundations of Suprematism as he published its manifesto From Cubism to Suprematism. The development of the radical abstraction within his work is most visible on the series of geometric abstraction in white and black. 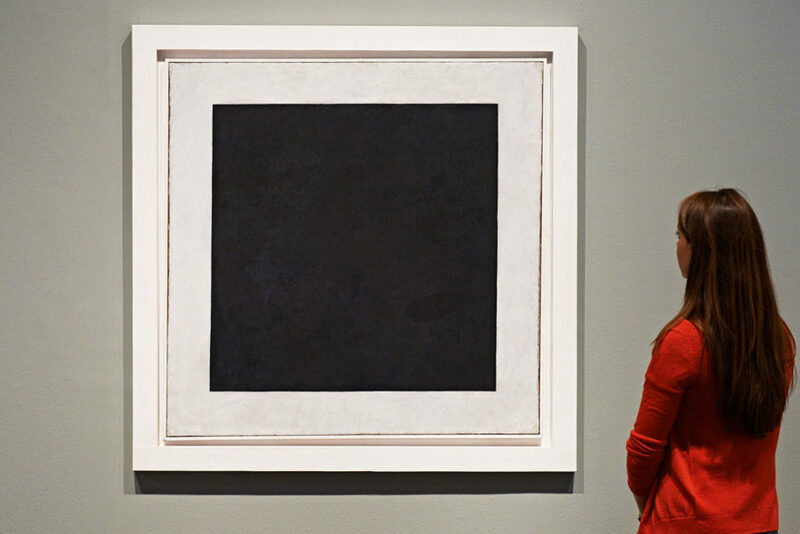 The most famous examples of his early Suprematist works include the two arguably most renowned paintings Malevich ever created: Black Square (1915) and White on White (1918). These carefully executed paintings still amaze people around the world as an emanation of total abstraction and reducing painting to the geometrical essence. 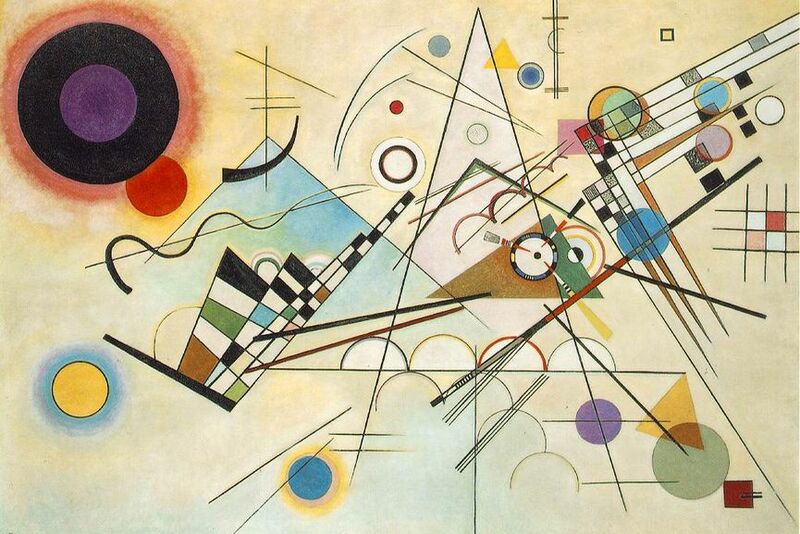 Wassily Kandinsky was the creator of the first modern abstract paintings by following the concepts of nonfigurative art and notions of connection between art, music and spiritual forces. Kandinsky was one of the first conceptual artists since his paintings were based on philosophy, complex ideas and writings. During the second decade of 20th century along with Russian emigrants and prominent German artists, Kandinsky was active under Der Blaue Reiter, art movement inseparably connected to Expressionism, and abstract painting. Kandinsky was one of the professors in Bauhaus school till its closing in Nazi period. In his artistic practice – vivid interpretations of color and form as well as musical and spiritual liasons influenced both abstract art and its subgenres lirical abstraction or color field painting. Piet Mondrian dealt under the De Stijl – the Dutch movement (meaning The Style) concerned by forming the new abstract language in art and architecture at the beginning of the 20th century. Following the certain degree of the abstraction within the post-impressionist artworks, Piet Mondrian was interested in geometrical abstraction and the use of primary colors – red, yellow and blue and its complex relations to geometric shapes and lines. Thus, radically simplified world of neoplasticism with basic two and three dimensional elements in his paintings and objects meditate the spiritual values. The universal abstract language of his paintings visibly influenced the abstract art but also the applied arts, graphic and product design as well as architecture. 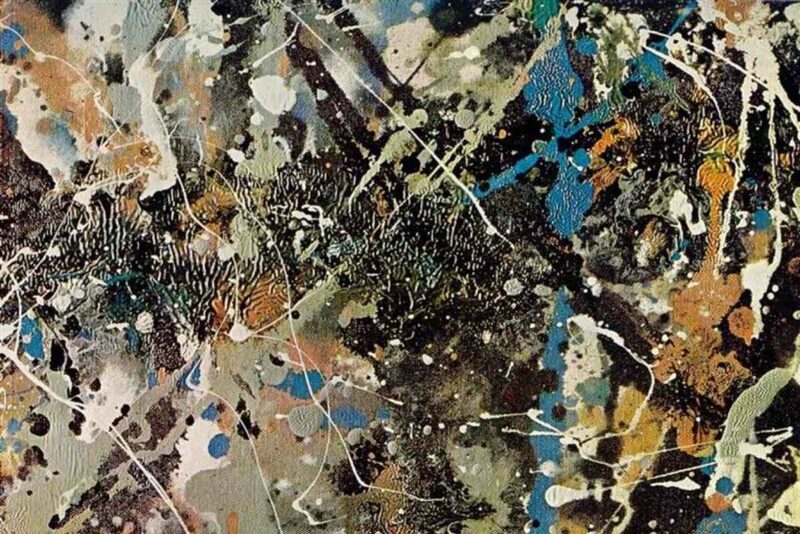 Jackson Pollock is one of most famous American painters of all time and it coincide the fact he worked under the 1950s art movement of Abstract Expressionism, which was wide accepted mainstream painting style. His personal expression is inseparable from the concept of action painting which insisted on the very act of painting, as well as the physical gestures of the artistic process. Jackson Pollock broke the convention of the painting on a vertically hanged canvas with his own technique of pouring and dripping paint. Thus, art was created immediately, deliberated by the complex process of layered painting and meaning so the results were canvases painted and readable from all directions. 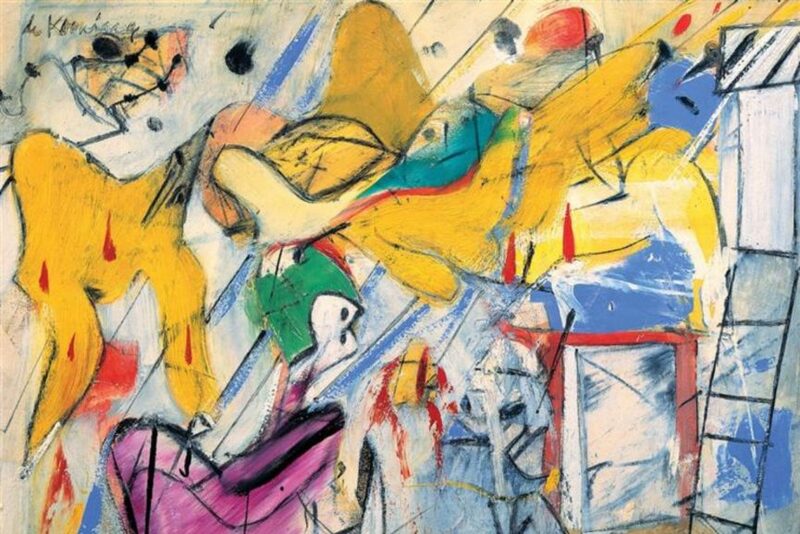 Willem de Kooning was one of the major representatives of the Abstract Expressionist movement in United States and furthermore, he is known for establishing a distinctly American style of painting. His way to abstraction was a trajectory of distorting the figure painting to the level of abstraction and the equal treatment between fields of color, shapes and lines. In his work, de Kooning somehow managed to blend Cubism, Expressionism and Surrealism and to deliver both extraordinary original and visually impressive canvases. Under the Color Field painting, Mark Rothko is surely one of the most significant authors while his sublime geometric abstraction is logical continuation of the poetry of colors and spiritual abstraction of Kandinsky. Within the color field abstract painting, the color was the main subject of the paintings, while any objective context or the meaning is discarded. 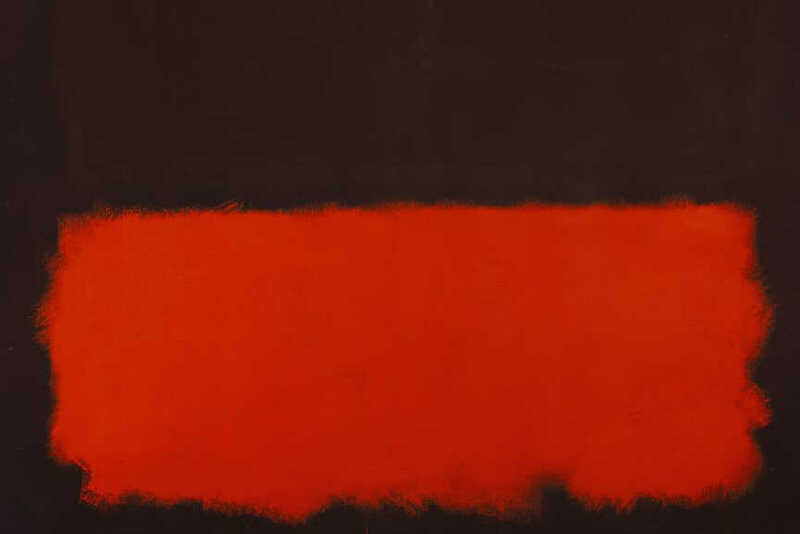 It is interesting that Rothko personally rejected connection to the abstract art in the meaning of the spatial and geometrical exploration because his focus was discovering mysticism and esoteric aspects of colors and its combinations. Ether way, Rothko stays as the memorable figure among American abstract painters with his treatment of luminosity, darkness, space and the color contrasts. Karel Appel was a Dutch painter, sculptor, and poet and one of the founders of the avant-garde movement CoBrA. His painting style is influenced by Pablo Picasso, Henri Matisse and the French brute-art artist Jean Dubuffet. 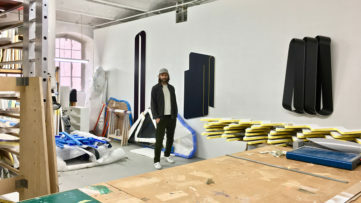 Affirming the ludist explorations of the artistic process, Appel was become famous by painting and sculpting in the technique of assemblage, as well as by extensive use of primary colors white, red, yellow, blue and black. The childish and spontaneous expression in Appel’s work is a bearer of the strong political anti-elitist and anti-establishment statement even though the canvases seems to be naive and nice. Be sure to check out an interesting selection of works by Karel Appel! Victor Vasarely was a Hungarian painter, and his work is best known as a synonym for the Op Art movement. His paintings transgress the very media of the painting by its geometrical logic and complex patterns similar to the optical illusions. Unbearable impression of the three-dimensional space and a sense of kinetic energy across the two-dimensional surface are the main hallmarks of his paintings. 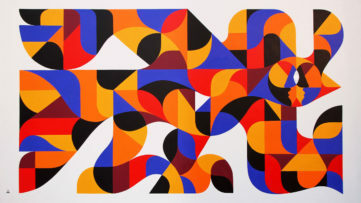 Because of its visual attractiveness and flawless precision, his paintings become wide known part of the popular culture, and furthermore – influenced on architecture, computer-aided design and modeling (CAD/CAM), animation and fashion. 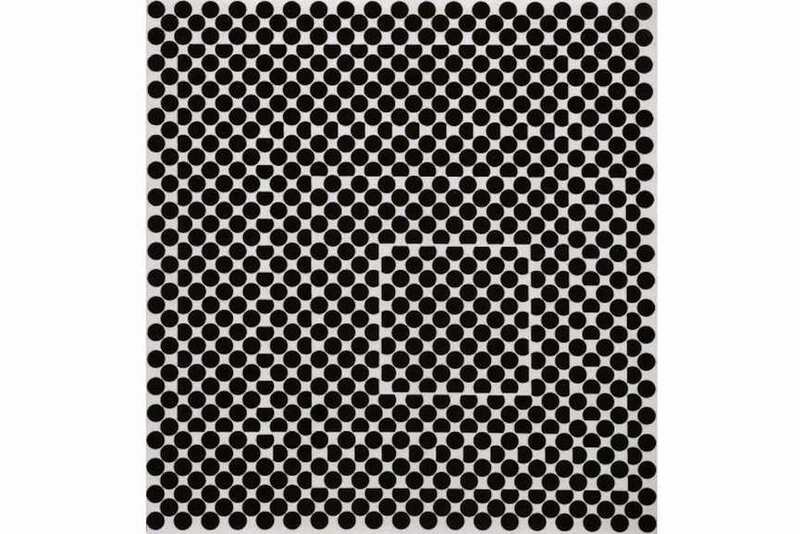 With the enormous popularity of his work, Vasarely successfully managed to achieve his maxime Art for All. 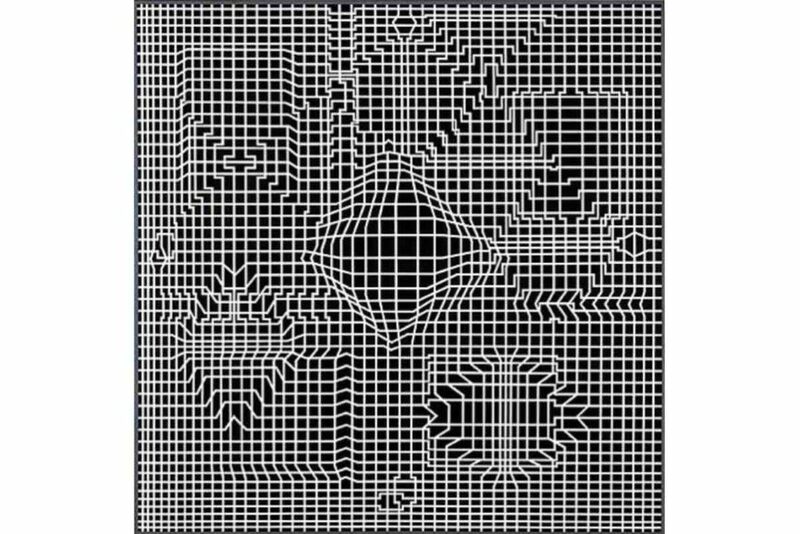 Find more works by Victor Vasarely! The artist Canadian-born American Agnes Martin is a dame of minimalist abstract art. From the studies she have got in touch with Zen Buddhism and she adopted ideas of Buddhism, as a specific practice of fighting chaos and a code of ethics as well as life philosophy. 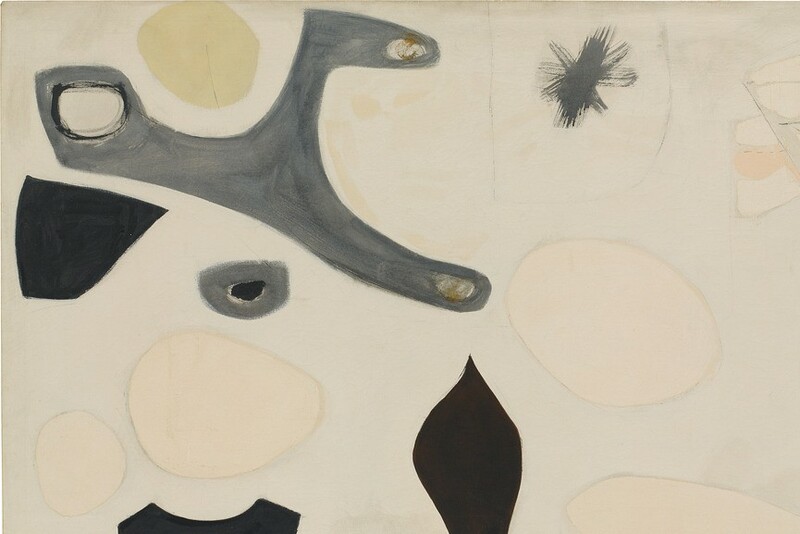 She was close to abstract expressionism as a widespread artistic movement of the time, and after an exhibition titled 10 she entered the canon of Minimalist artists. As a woman artist not associated to feminist movement, she was always underestimated in favor of her male peers, but her contribution to the abstract art and painting transformation in 20th is enormous. Her subtle, emotive and expressive canvases held the very logic of Buddhist philosophy within the contemporary abstract art. 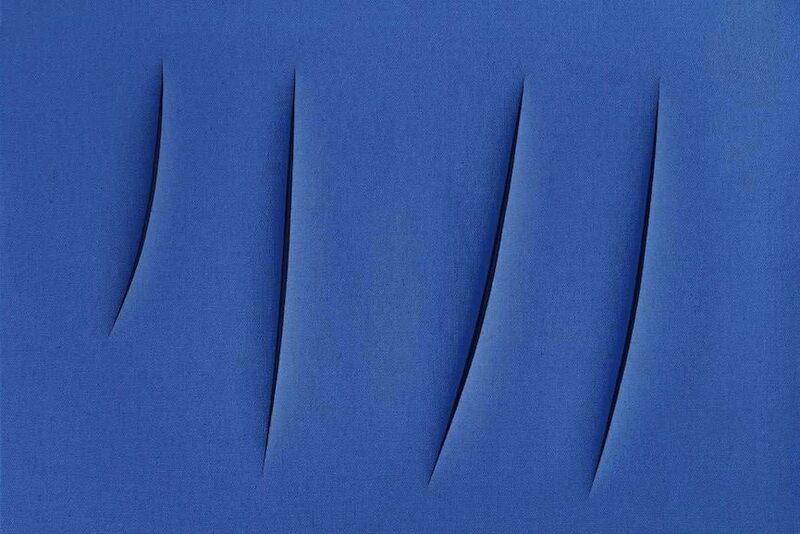 Lucio Fontana is one of the most influential Italian abstract painters, world-known as a founder of Spatialism and his artistic practice under post war movement of Arte Povera. His work could be described as radical minimalism in painting, while his monochromatic paintings are reduced to canvases with carefully executed gesture cuts. Although he worked both with sculpture and paintings, his work put an emphasis to he spatial context, the dimensionality of space behind the painting and the sculpture. At the end of the exploration of the minimalism, his work culminated in the strict use of single colors on the canvases the sculptural work inspired consisting only of the metal plates punctured by the artist or the machine.